SO throughout the month I have been WANTING to do this video and have mentioned it several times on my channel. SO today is the day!! 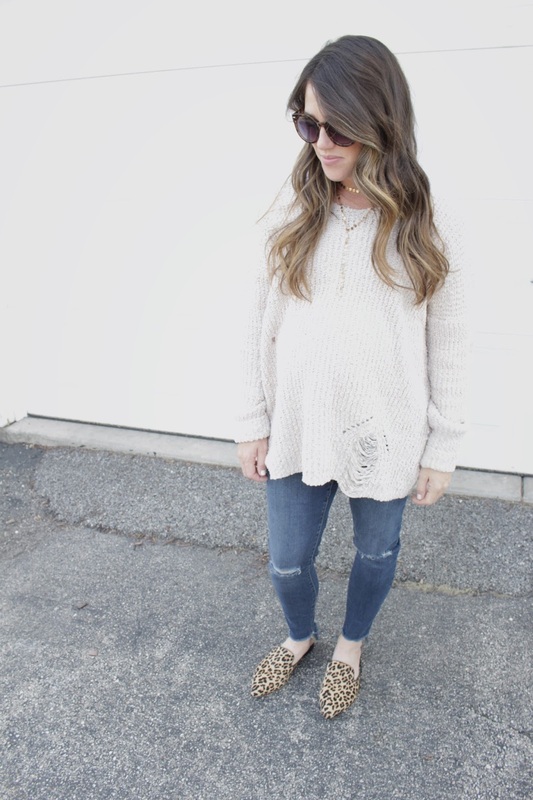 I am sharing some tips and tricks on dressing for pregnancy WITHOUT stepping into the maternity section!! I have done it this entire pregnancy and SO CAN YOU! 1. Tops: GO LONG not wide. I learned this asap during my first pregnancy. I had no idea how my body would change and grow. I just thought I needed really flowy or boxy tops. NOPE the longer the better. Your belly grows out especially in that third trimester. It might help to size up with normal tops but check the length first…..If it would be good without a bump with leggings…its a good top for a bump! 2. Material is everything. The material of clothing has never been so important to me!! I love something that is soft and stretchy. Stiff, scratchy and has no give?…NO THANKS! You are already so uncomfortable…why suffer in stiff scratchy clothing!? 3. Joggers and Leggings are your best friend. I am not going to lie you will need to size up in your favorite leggings. Leggings in your normal size will most likely become restricting and uncomfortable but maternity leggings aren’t entirely necessary! Find something with a great stretchy material and just size up. You will most likely live in them. With joggers, I always stay with my normal size and the best part…you will live in them postpartum. 4. Speaking of POSTPARTUM….This is something I never really thought about with Eli is nursing. I never thought of having nursing friendly clothing. I remember after having him, I made my mom run out and get me at least some pajamas that were easy to nurse in. Because you are nursing literally around the clock, the ladies need to be accessible. I did however know you don’t go back into your normal size jeans immediately after giving birth. Think about what you are wearing around 20-27 weeks…thats most likely where you will be….but everyone is different. So when purchasing things, think is this nursing friendly that I KNOW I will wear postpartum? Its nice to get longevity out of the clothing you purchase! 5. Last is dresses. They are PERFECT to wear with a bump….BUT look at the fit. Shift dresses, swing dresses, A-line dresses….are perfect. Anything that cinches your waist or has seams around the stomach area…they will not work!!! I love finding dresses also with a soft stretch to them. Jersey swing dresses are awesome and you don’t really need to size up! 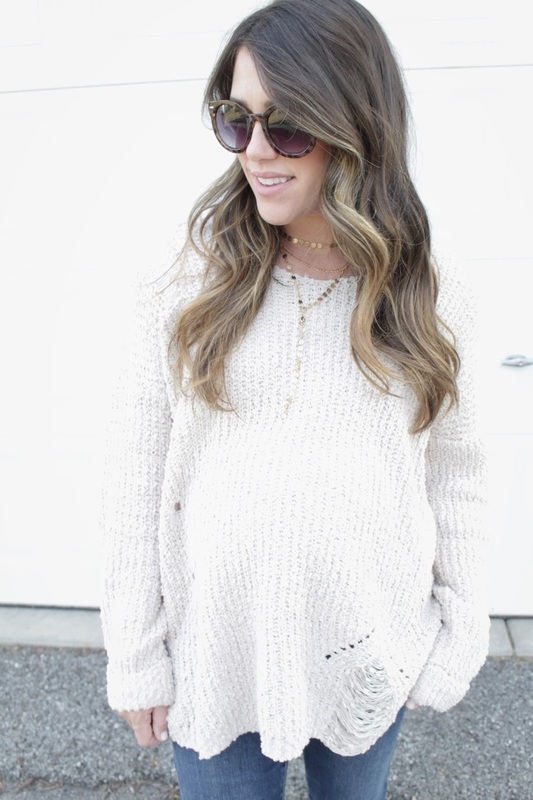 Towards the third trimester if you have a dress that is a little too short because that bump is bumpin?…NO problem…just pair it with some leggings and knot that dress up at the side to make it tunic length and you have a whole new outfit!!! I hope this tips and tricks help!! It is definitely tricky dressing that bump. 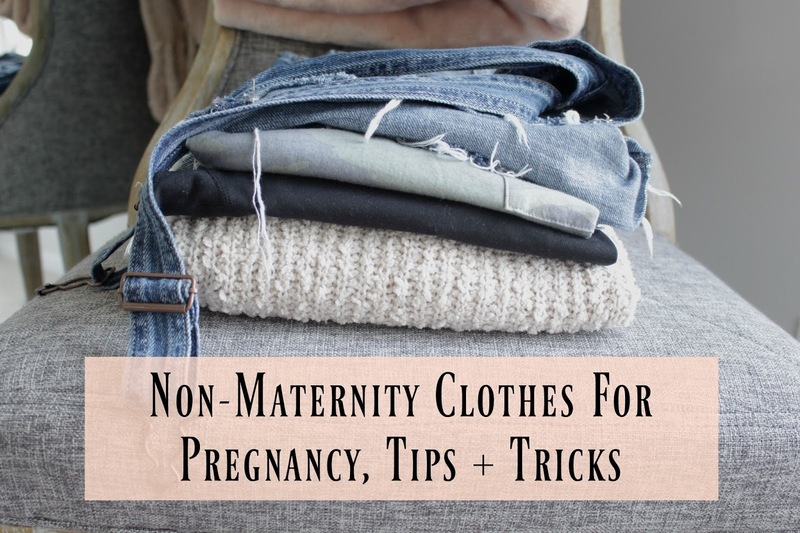 I always love getting the most of out the clothes I’m buying…after all you are only pregnant for 9 months. Share any tips and tricks below!! !